SIGN NOW! The Trees Are Bleeding: Stop the Loggers NOW! 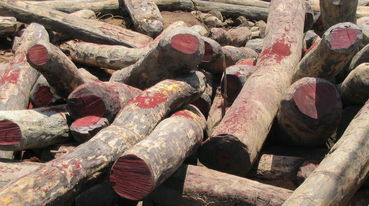 Loggers are cutting down all the rosewood they can find in NigeriaâEUR(TM)s Taraba State. The timber is destined for China, where it will be made into faux-antique luxury furniture. Please sign and share with your friends on C2, FB, TW etc--thanks! You have already signed this petition. Noted, already signed. Thank you Cal. I thought I had already signed this either yesterday or the day before yet it let me do it. Anyway I just signed and noted. Thanks cal! ALREADY SIGNED from Anna's post a good 15 hours before your post. Signed with pleasure, thank you.